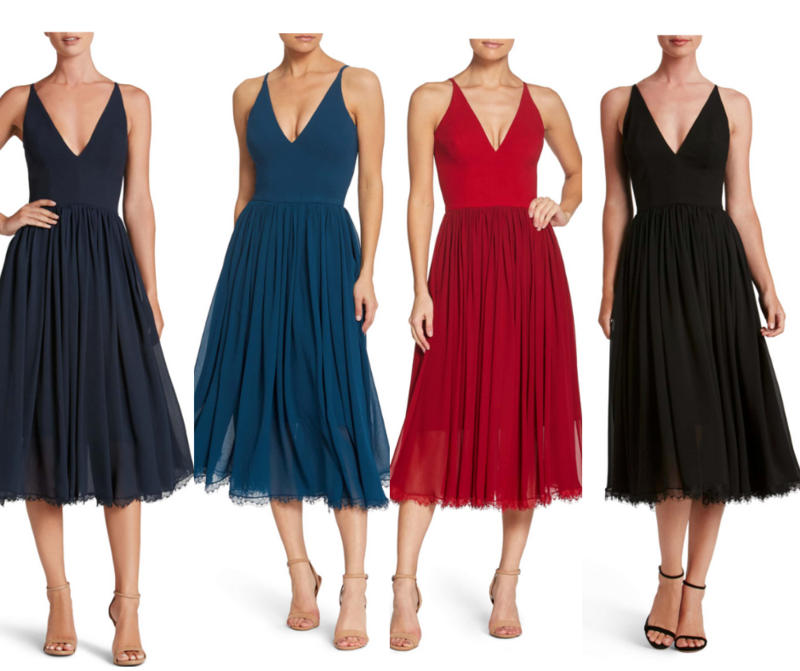 Alicia Mixed Media Midi Dress – Available in a bunch of different colors, I think this is by far my favorite option. Nordstrom City Chic Textured Heart Dress Plus Size – I absolutely love the back on this one. WHBM Lace Instantly Slimming Dress – I own the cap sleeve version of this dress and LOVE it. It is very forgiving and flattering. 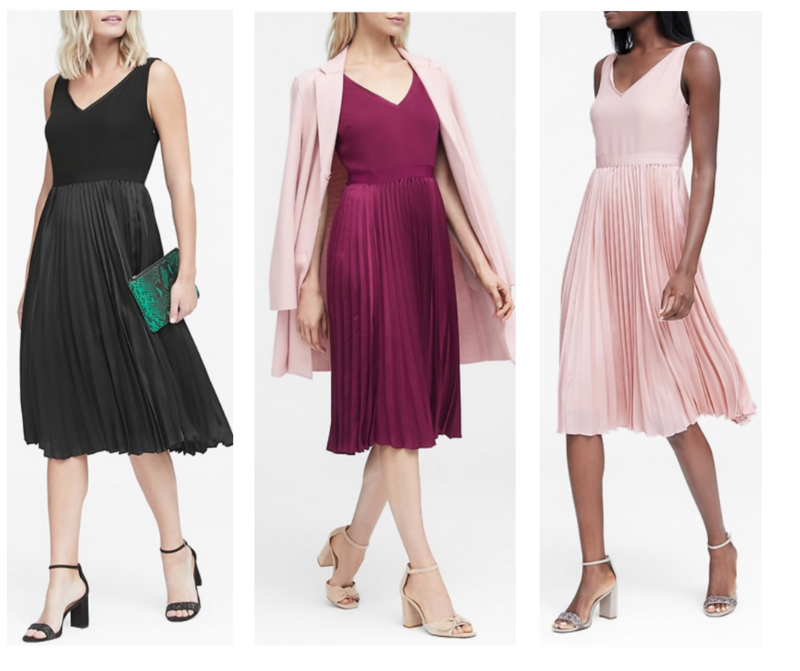 Banana Republic Pleated Fit and Flare Dress – My little girl rates her dresses based on their twirl factor. I’m betting this one would score pretty high in that department. Nordstrom Rack Mariana Long Sleeved Lace & Sequin Dress This budget-friendly party dress is over 60% off coming in at less than $50!!! 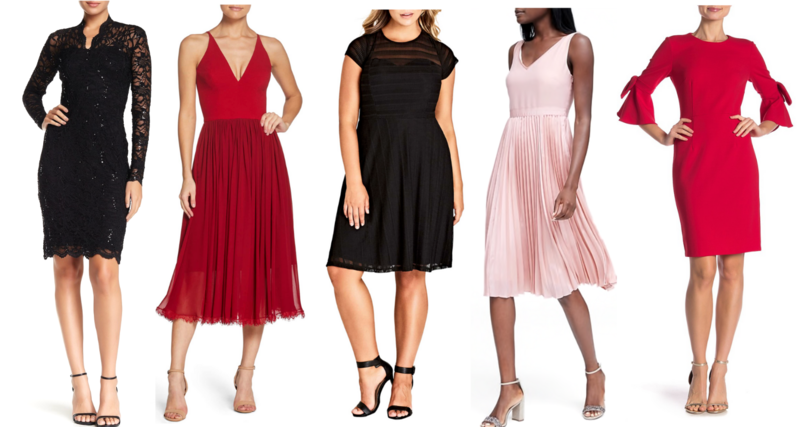 Nordstrom Rack Juliana Dress – Available in a few colors this option is both elegant and forgiving in all the right places 🙂 And at over 50% off it comes in around $45!! 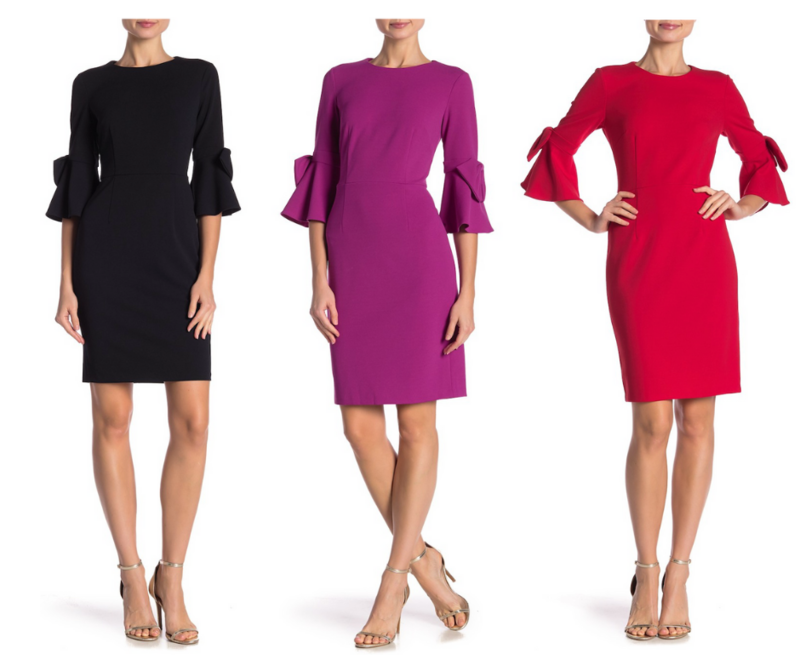 Nordstrom Rack Half Sleeve Shift Dress Available in a few different colors this adorable holiday dress is over %60 off coming in at less than $40!! I love this blog! So creative and inspiring!